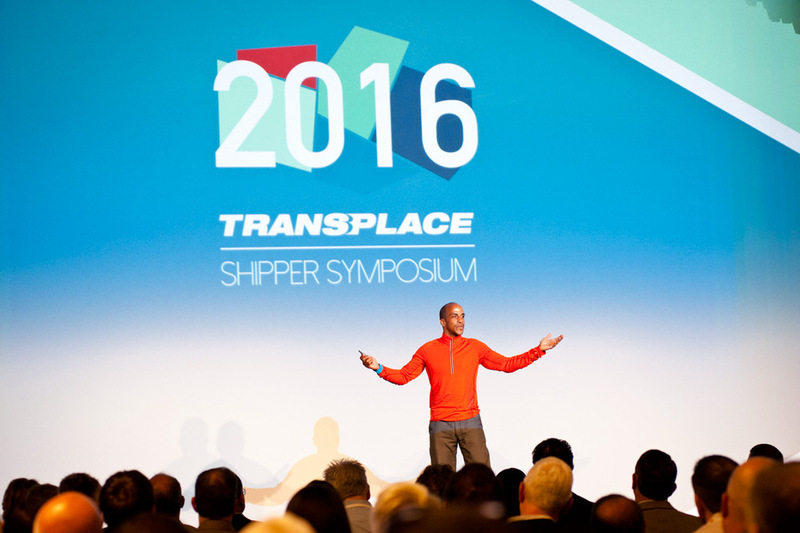 Siphiwe Baleka is the founder of Fitness Trucking, LLC and serves as the Driver Health and Fitness Coach at Prime Inc., a commercial trucking company based in Springfield, MO with approximately 6,700 drivers. Siphiwe has served as the Driver Health Editor for both Road King magazine and The Trucking Network magazine. Siphiwe was born in Montgomery, IL on April 14, 1971. His parents, Jeremiah and Yolanda Blake, were among the first African Americans to move into the Boulder Hill subdivision. His parents divorced when he was ten years old, and he was raised by his father from then on. By that time, Siphiwe was already a gifted athlete in several sports, and a YMCA state champion swimmer. At the age of twelve, after a meeting with his father and uncle, Olympic gold medal winner Hayes Jones, Siphiwe decided to focus on swimming and train for the Olympics. A nationally ranked high school swimmer, Siphiwe continued swimming at Yale University. In 1992, Siphiwe failed to qualify for the US Olympic Swimming Trials by just 0.8 seconds in the 100 freestyle. Siphiwe retired from the sport and spent the next fifteen years traveling around the world, visiting, working and living in 24 countries in North, South and Central America, Europe, Africa and the Caribbean. In July of 2008, with absolutely no experience or knowledge about driving a truck, Siphiwe enrolled in Prime’s Student Driver program and earned his commercial drivers license (CDL). Within the first two months of his driving career, Siphiwe’s weight increased from 140 lbs. to 155 lbs., an increase of 15 lbs. or 10.7% of his body weight. That’s when he had his “wake up” moment and realized he had to take responsibility for his health and wellness while out on the road or else he would end up a statistic. Nationally, 86% of America’s truck drivers are overweight, and 69% are obese. While completing a three-year lease at Prime, Siphiwe tested every kind of fitness equipment, fitness program, and nutrition program to find out what worked and what didn’t work in the unique and challenging environment of long haul trucking. He soon realized that although there was a fitness and nutrition program for everyone in America, NONE of them were specifically designed for the long haul truck driver. Siphiwe, a graduate of Yale University and the first African American ever named to the First Team All-Ivy League Swim Team, decided he would create such a nutrition and fitness program. At the end of 2011, Siphiwe presented Prime Founder and Owner Robert Low with his Basic 13-Week program. Mr. Low, who was the incoming chairman of the Truckload Carriers Association (TCA), had made both a personal and professional commitment to improving the health and wellness of truck drivers after learning in a TCA planning meeting that the average life expectancy of long haul truck drivers was just 61 to 64 years of age. After the presentation, Mr. Low hired Siphiwe to become Prime’s Driver Health and Fitness Coach. Before starting the position, however, Siphiwe competed in the 2012 Ironman South Africa, finishing in 214th place out of more than 1500 triathletes who started the race. As a result of the program’s success in 2013, Prime and Siphiwe started winning awards. 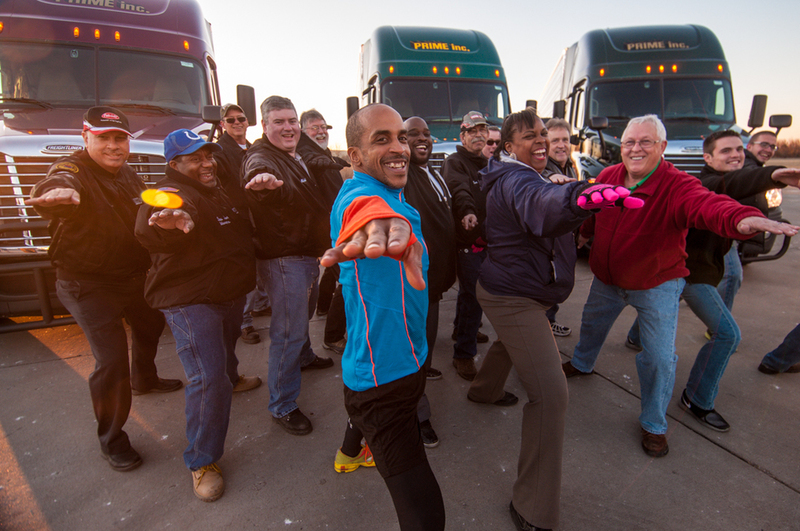 Siphiwe won the Legacy Award at the Healthy Trucking Association of America’s 5th Summit. His client, Melissa Fort, was named the very first “Female Healthy Truck Driver of the Year” while Prime Inc. earned the “Trailblazer Award.” Prime also won the 2013 Kraft Director’s Award for Contributions to Health and Wellness. Then in January, 2014 Prime won the 2014 CES Digital Health Summit’s Every Day Health Award for the Healthiest Company. After the awards came a lot of media attention. Men’s Health did an eight page feature in its April 2014 issue. [xi] Human Resources Executive did a feature on remote workers in company wellness programs. Swimmer magazine did a long feature in its July/August issue. [xiii] Sports Illustrated did a profile piece in January 2015 followed by a short documentary on Fox Sports Live. Finally, The Atlantic magazine declared Siphiwe as “The Fitness Guru of the Trucking Industry”.